There are four types of investment which will qualify you for citizenship in the paradise islands of Antigua & Barbuda. As an applicant, you can choose between a contribution to the National Development Fund (NDF), to The University of the West Indies Fund, purchase property in a pre-approved real estate development, or invest in an approved business venture. As a candidate, you must be over 18 years of age, hold no criminal record and have excellent health. Upon successful application, you and your family will obtain a lifetime citizenship and enjoy travelling visa-free to over 150 countries. The non-profit NDF was established to fund income-generating public sector projects, innovation in entrepreneurship and approved charitable investments. It is audited by an internationally recognized accounting firm and reports on its status are published each year. If this is your investment of choice, you are invited to contribute $100,000 to the NDF, which is a one-time contribution for a family of four. Processing fees will be applied as indicated below. This investment option serves as a mechanism to finance the new University of the West Indies Five Islands campus. This contribution will also entitle one member of the family to a one year scholarship, tuition only, at the University of the West Indies. You and your family can obtain citizenship by purchasing a property in Antigua & Barbuda. You may also benefit from rental revenue with this investment. To qualify for citizenship under this option, you must invest in a designated, officially approved real estate development worth at least $400,000. Until 31st October, 2019, two (2) applications from related parties can make a joint investment, with each applicant investing a minimum of $200,000 in order to qualify. All processing and due diligence fees remain unchanged. You must own the property for a minimum of five years before selling it. Processing fees will be applied as indicated below. Invest at least $1,500,000 in a pre-approved business. Alternatively, at least two applicants can propose to make a joint investment in an approved business with a total investment of at least $5,000,000. Each investor must contribute at least $400,000 to the joint investment. Please note that all four options also include a due diligence fee of $7,500 for the main applicant and spouse, $2,000 for any dependent child between 12-17 years of age and $4,000 for any dependent child/parent between 18-28 and 58 plus years. 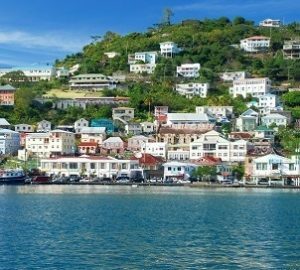 Why does Antigua & Barbuda have a citizenship by investment program? The program was introduced to promote economic growth, attract real estate development, increase foreign direct investment to the country, support the development of infrastructure and provide for a sustainable future. How many visa-free countries can I travel to as a citizen of Antigua & Barbuda? You can travel to more than 150 countries without requiring a visa, including the EU and Schengen countries, Hong Kong and Singapore. Processing your application should take from 3 to 6 months. Who can apply for citizenship? To apply for the citizenship program in Antigua & Barbuda, you must be at least 18 years of age, be of a good character with no criminal record, and have good health. Do I need to speak English to apply for citizenship? You don’t need to speak English to be an applicant. Who can be included on the application? Your dependent children under 28 and dependent parents over 58 can be included within the application. How do you conduct the due diligence and vetting of applicants? There are no interviews. However, all applicants undergo rigorous screening prior to consideration by the Citizenship by Investment Unit. Complete files will be forwarded to an international, unbiased third party due diligence service provider who will conduct detailed background checks on all applicants before the application is approved. What happens once my application has been accepted? A certificate of registration of citizenship will be issued and submitted to the passport office. Your authorized agent/representative will forward your passports and Citizenship Certificate to you. 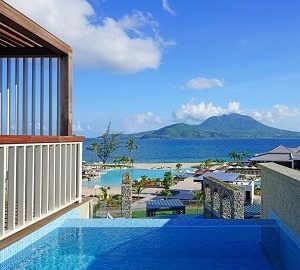 Do I need to travel to Antigua & Barbuda to complete the process? The application process can be made from your country of residence. Once your application is successful and you have received your passport, you must travel to Antigua & Barbuda to take your oath or affirmation of allegiance. You are entitled to take up full-time residence in Antigua & Barbuda at any time you wish. Does Antigua & Barbuda recognise dual citizenship? There are no restrictions on dual citizenship in Antigua & Barbuda. For how many years will my passport be valid for? The passport will be valid for a period of 5 years and is renewable for a period of 10 years thereafter, provided that the requirements are met, which includes spending a minimum of five days in the country during this period after becoming a citizen. Can I invest with my Bitcoins or other crypto currencies? This is in the pipeline but has not yet been established. In addition to the citizenship by investment program does Antigua & Barbuda have a tax residency program? 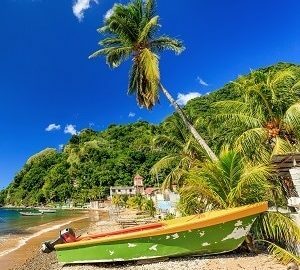 Antigua & Barbuda does not currently offer a tax residency program. A selection of residency and citizenship investment programmes.